On the sidewalks of downtown Vancouver, BC ACORN members hosted the First Annual Demovictor of the Year Awards for Innovation in Destroying Working Class Homes in 2018! The nominees were narrowed down to disgraced former mayor of Burnaby, Derek Corrigan; Burnaby councillor, Colleen Jordan; and Anthem Properties along with their CEO Eric Carlson. 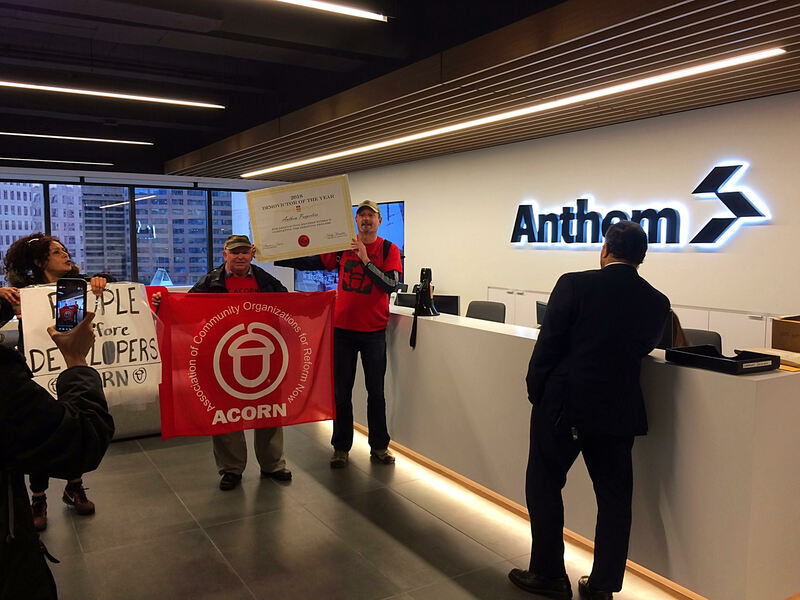 In the end, Anthem took home the award which ACORN members delivered directly to their office with a lively action. Anthem proved to be the most deserving as they’ve shown real prowess in evicting hundreds of tenants long before rezoning applications have been completed. Currently, Anthem has at least 50 units in one Burnaby building sitting unoccupied in the worst housing crisis we've ever seen!